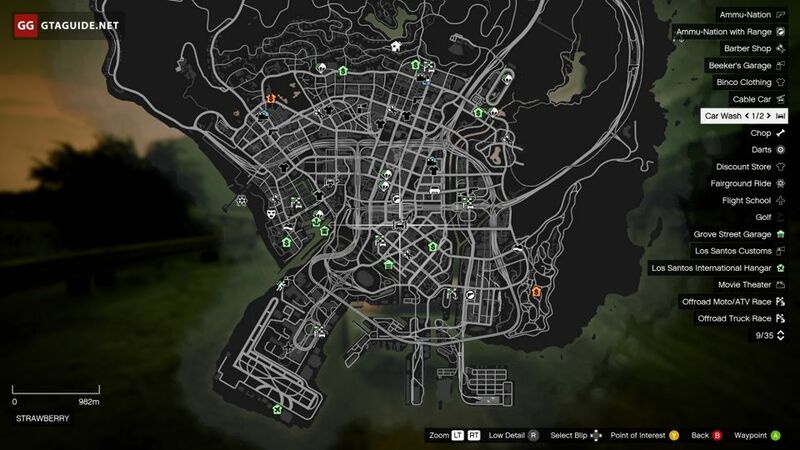 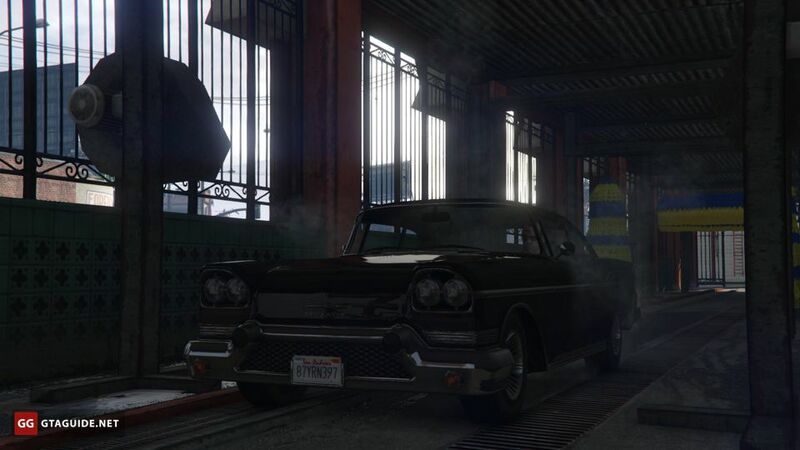 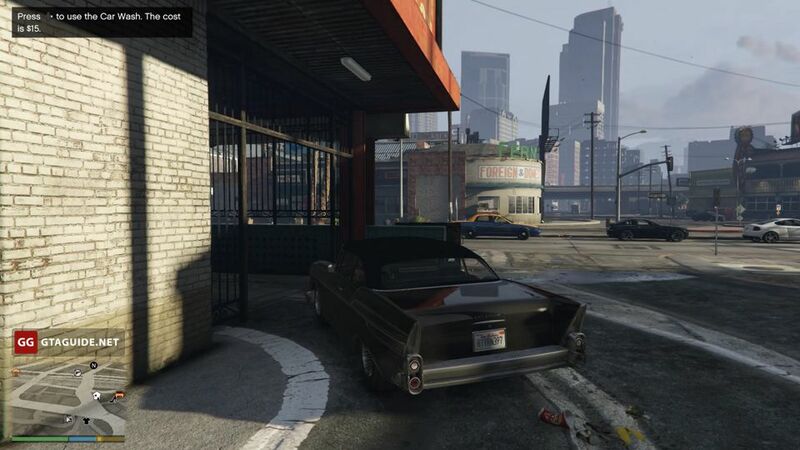 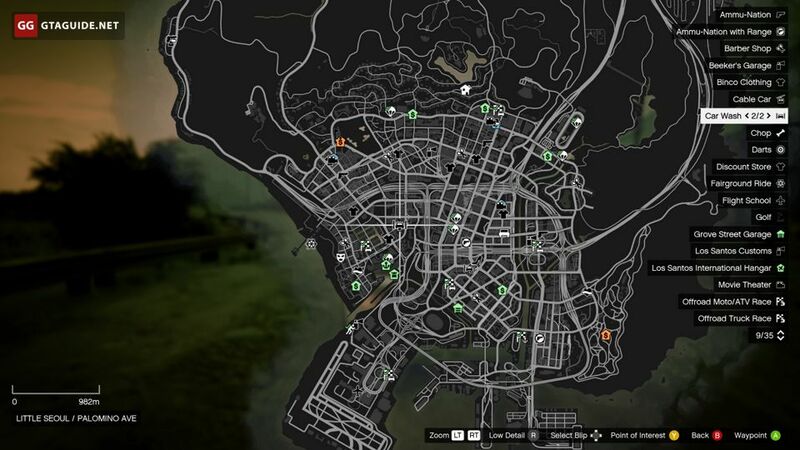 In Grand Theft Auto V there are two functional car washes, both situated in Los Santos: one in Little Seoul, the second in Strawberry. 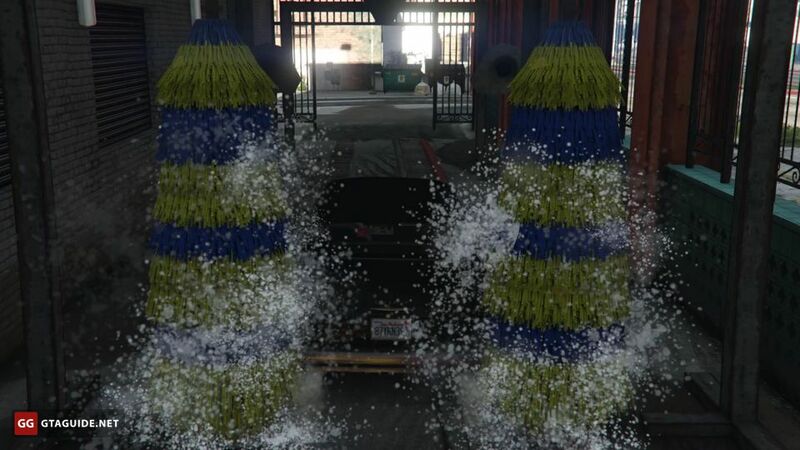 In both, you can wash only passenger cars, light trucks or SUVs. 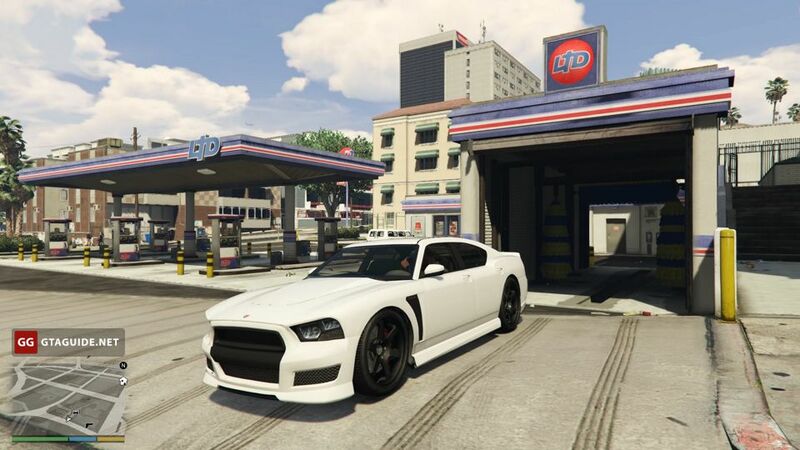 The cost is both there and there — $15. 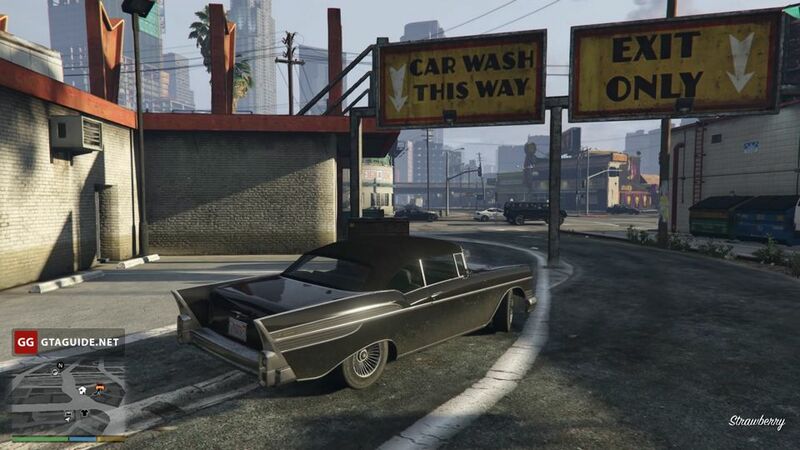 To use the car wash, drive up to the entrance and press the action button. 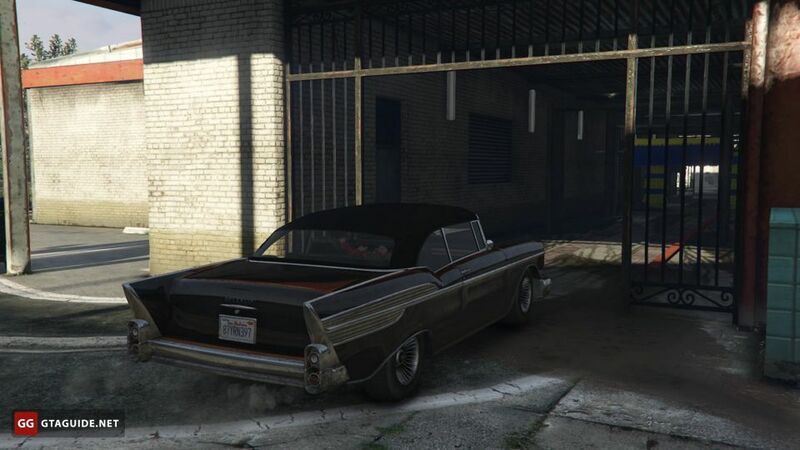 The whole process is automatic, you don’t need to do anything. 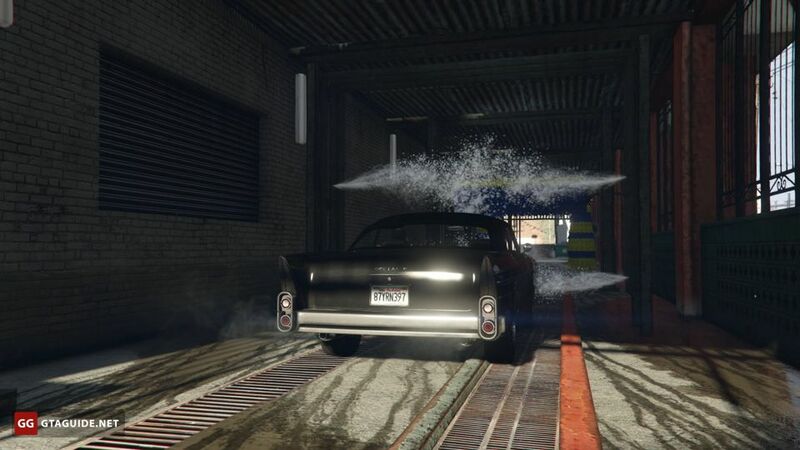 You can also skip the cutscene, which shows the process of washing the car. 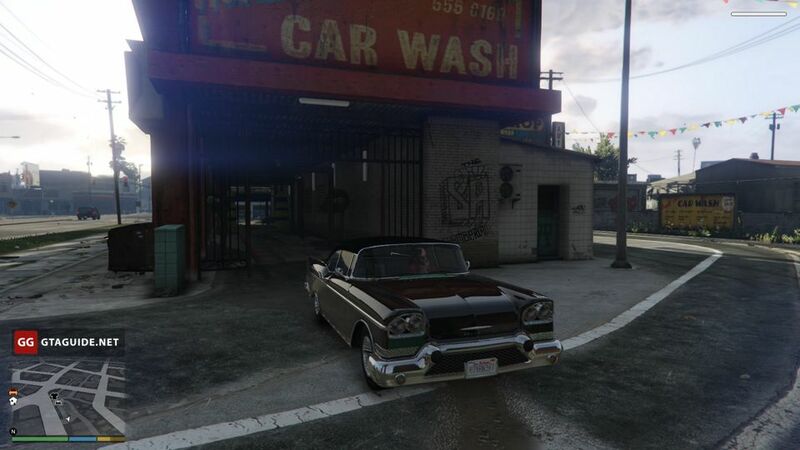 Car washing doesn’t affect anything, except cars’ appearance. 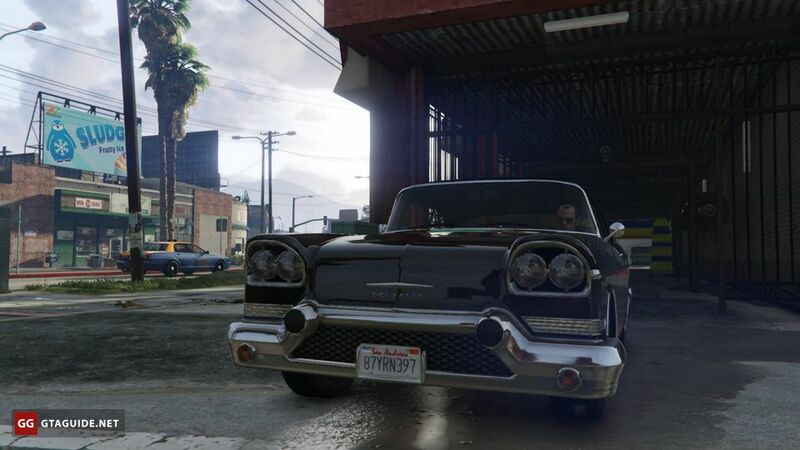 Using car wash services isn’t needed to get 100%, but it’s noted in Social Club in the checklist, in the section “Misc”.